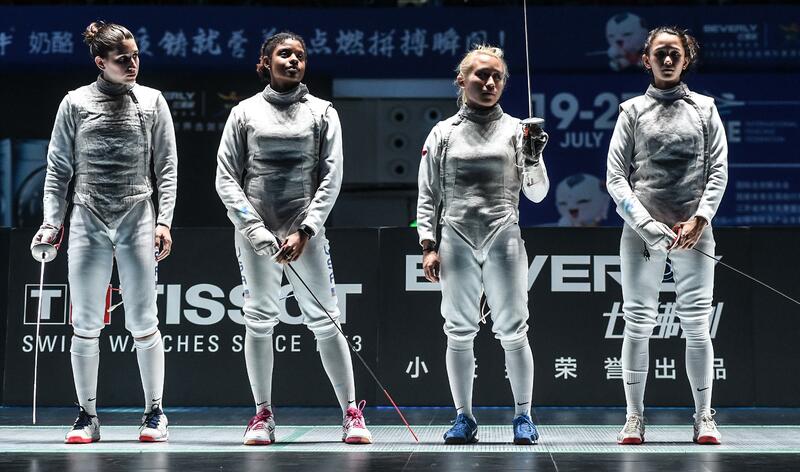 (Wuxi, China) – After winning the first ever Senior World Championship team silver medal in women’s foil for USA Fencing in 2017, Team USA will return to the finals strip on a mission for gold tonight. The stream will begin live at approximately 6:20 a.m. EDT at https://www.olympicchannel.com/en/tv/overflow-4/. Ranked No. 3 in the world, Team USA won bronze medals in two of the five tournaments on the World Cup circuit and a 12th straight gold medal at the Pan American Championships. Team USA will face a formidable opponent in Italy – a squad dubbed as the Dream Team with Senior World Championship titles in four of the last five years to its credit. The Americans have beaten Italy in the past on the World Cup circuit and are aiming to become the first U.S. squad ever to win a Senior World Championship team title in women’s foil.